Final standings updated for Season 5. 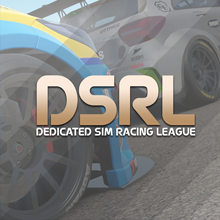 Congratulations to @Laitsu, the DSRL RC Season 5 Group B Champion! Laitsu fought all the way in his Peugeot 205 T16 during season 5, storming to 4 out of a possible 6 rally victories in his first season, deservedly claiming the championship with a round 6 2nd place finish at his home event, Rally Finland! The closest finish of this season was back in Round 1 between Webbers and Waltcynt, just 3 tenths fighting it out for 5th spot! Thanks again to everyone who participated and got involved in this season, it was great fun to run these classic beasts. More info will be coming soon about the next season of the DSRL rally championship so keep an eye out rally fans! Thanks for the great season all! Yep. Thanks you all competitors! !